Failure to stay under the influence of the Holy Spirit opens the door to bad choices and love of something other than the Lord. I lived for years prioritizing a commitment made to myself at a young age that I would live above the poverty line that my family lived below when I was growing up. My focus was on working hard and attaining financial security. My faith was in me and I loved the dollar. Through Paul’s words above, the Holy Spirit helped me realize that I was actually a slave to the fear of failure to provide well for my family. I had to confess my weak faith and idol worship. By His grace I embraced a stronger walk under the influence of the Holy Spirit. Worship 24/7 – Praise God for the sunrise or a thunderstorm rolling through; thank Him for that call or a business deal that came together; honor Him as He gives you a glimpse of His glory in marriage or in the eyes of your kids. Peter addressed the crowd - “These men are not drunk as you suppose. It’s only nine in the morning! No, this is what was spoken by the prophet Joel: ‘In the last days, God says, I will pour out my Spirit on all people.’” – Acts 2:15-17. 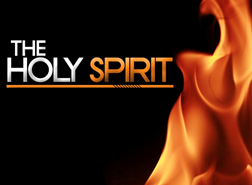 The Holy Spirit had come to rest on the disciples and they were truly under the influence of Him, as we should be. A faithful father is strong in the Spirit and loves the Lord with all his soul.